You can search for dynamic parameters either after a recording (in the Post-Recording wizard) or for each Virtual User. In the Design section, select the Virtual Users tab. Select a Virtual User in the Virtual User profiles tree. 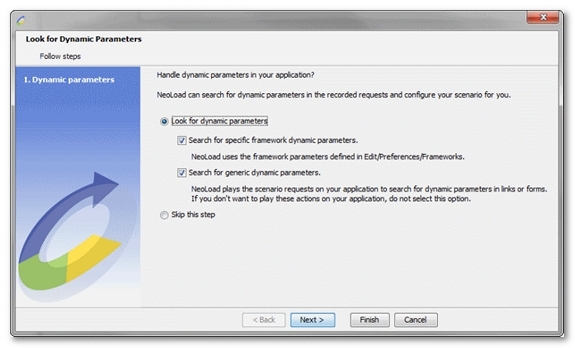 Click the Look for dynamic parameters button.